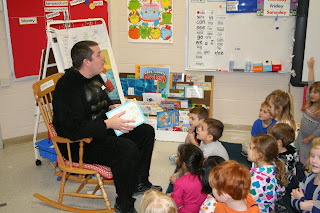 Ben went to Lincoln's class yesterday as the Mystery Reader. 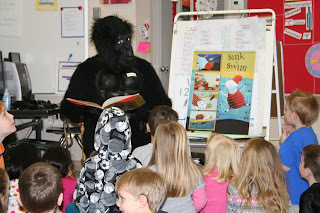 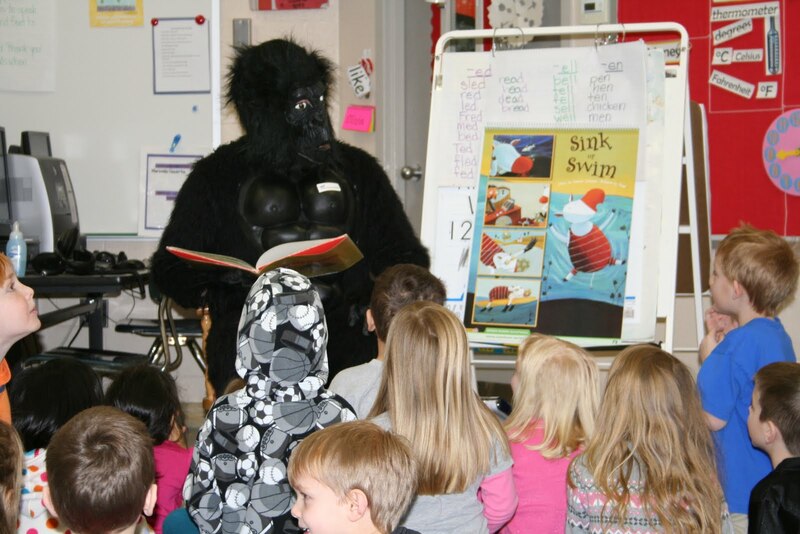 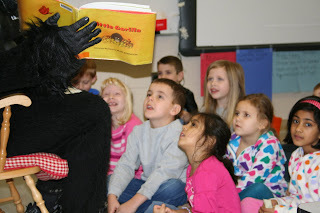 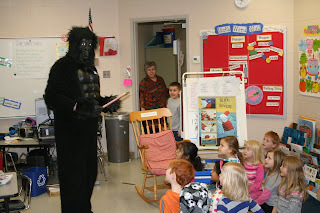 He had the idea of wearing a huge gorilla costume, & then reading a couple books about gorillas. 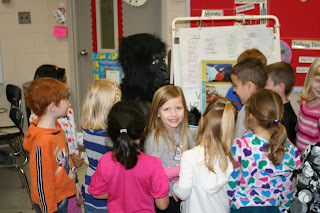 When he walked into the classroom, there were a few shrieks from a couple girls, but the rest of the class was amazed & so excited! When Ben said hello to the kids, Lincoln said, "Hey! My dad talks like that!" 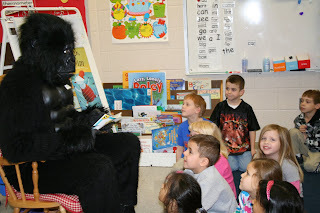 Then, when Ben was reading to the kids, Lincoln looked down at Ben's shoes & said, "Whoa! 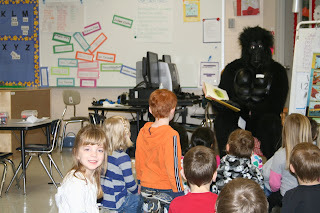 My dad has shoes just like that!" He still didn't put it together. 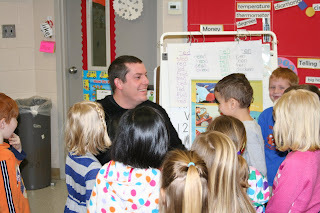 Then when the big reveal happened, Lincoln screamed, "Daddy!" Hilarious. 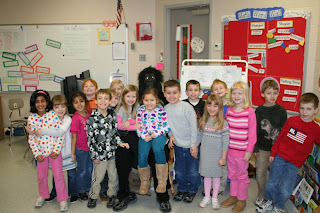 Ben said that it was such a fun day, & that Lincoln will remember that for a long time. 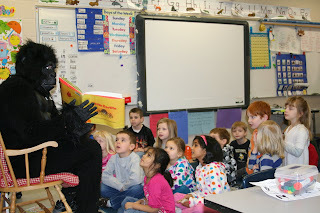 And when dinner time rolled around & we all did HIGH/LOW, Daddy the Gorilla was definitely Lincoln's high.